In this one hour video recorded on September 27, 2017 at the Lannan Foundation in Santa Fe, New Mexico, investigative journalist Glenn Greenwald talks about his work. Afterwards, Greenwald sits down with writer and editor Tom Engelhardt for a wide-ranging conversation about United States military policy in the Middle East; whistleblowers Daniel Ellsberg, Edward Snowden, and Chelsea Manning; the effect Donald Trump is having on the image of America around the world; and what US citizens can do about the injustices practiced by our government. 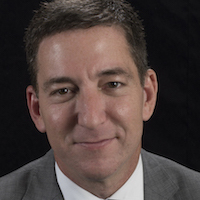 Greenwald has received numerous awards for his investigative journalism. In 2009 he was awarded the Izzy Award by the Park Center for Independent Media for his “path breaking journalistic courage and persistence in confronting conventional wisdom, official deception, and controversial issues.” In 2010 he received an Online Journalism Award for his investigative work on the arrest and detention of Chelsea Manning. In 2013 he led The Guardian’s reporting team that covered Edward Snowden and the NSA, which earned the newspaper the 2014 Pulitzer Prize in Public Service. Foreign Policy magazine named him one of the top 100 Global Thinkers for 2013. 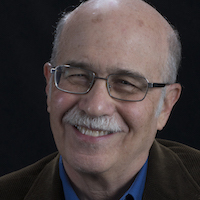 Engelhardt was a senior editor at Pantheon Books, where he edited and published award-winning works ranging from Art Spiegelman’s Maus and John Dower’s War Without Mercyto Eduardo Galeano’s Memory of Fire trilogy. He is a consulting editor at Metropolitan Books, as well as coeditor of Metropolitan’s The American Empire Project, which has published best-selling works by Chalmers Johnson, Andrew Bacevich, and Noam Chomsky, among others. This entry was posted on March 4, 2018 by Vox Populi in Opinion Leaders, Social Justice, War and Peace and tagged Chelsea Manning, CIA, Drone Whistleblowers Step Out of the Shadows, Edward Snowden, FBI, Glenn Greenwald, Glenn Greenwald with Tom Engelhardt, Iraq War, Lannan Foundation, Latin America, NSA, surveillance of US citizens, Syrian Conflict, Tom Engelhardt, U.S. presence in Afghanistan, United States middle east policy, US military, US terrorism in Middle East, whistleblowers.